Ever wonder what bergamot oil tastes like? You might know how amazing and refreshing it smells (spoiler: it’s citrusy), but the taste might surprise you. Have you had Earl Grey tea? If so, then you should know that it’s infused with bergamot essential oil, which in part gives Earl Grey its distinct flavor. There are many benefits to bergamot oil because it’s antibacterial, analgesic and antispasmodic, has calming properties for the nervous system, and is especially good for anxiety, depression and stress. Bergamot is a citrus fruit native to the Ivory Coast, southern Italy, and tropical parts of Asia. In fact, oil of bergamot gets its name from the town of Bergamo in Lombardy, Italy. It’s a light- yellow/green in color and its scent is incredibly fruity yet mildly spicy and fresh. Bergamot oil has been used as an antidepressant, which is remarkable because antidepressant medications are notorious for having horrible side effects, including suicidal thoughts and weight gain. One way to benefit from the oil is to add a few drops to a diffuser. It will emit a soft, oil-infused mist that you then inhale. Another powerful use for bergamot oil is in the fight against infections. A study published in the Journal of Applied Microbiology in April 2009 showed that the essential oil can fight off the bacteria Enterococcus faecium and Enterococcus faecalis, both of which are resistant to the antibiotic vancomycin. These bacteria cause a number of infections, including urinary tract infections and meningitis. You can add a few drops of bergamot oil to a sitz bath to help prevent the spread of bacterial infections from the urethra into the bladder. As a mosquito repellant: Add bergamot oil it to a carrier oil such as jojoba or almond—10 drops of bergamot per 250 milliliters of oil. Mix and then apply as needed before going out. As a deodorant: Bergamot oil has a sweet, spicy smell. If you need a fast fix or want something completely natural, you can add 10 drops of bergamot oil to some water in a spray bottle and spritz on as needed. Spray it all over your body for a refreshing, calming pick-me-up. You can add the oil directly to your armpits and it shouldn’t cause irritation, but it’s a good idea to test it on a small patch of skin first, just to be sure. It can heal scar tissue: Acne and injuries can leave unsightly scars, and bergamot oil has been known to reduce the look of scar tissue. Add a few drops of the oil to a cotton pad and dab it on the scars. 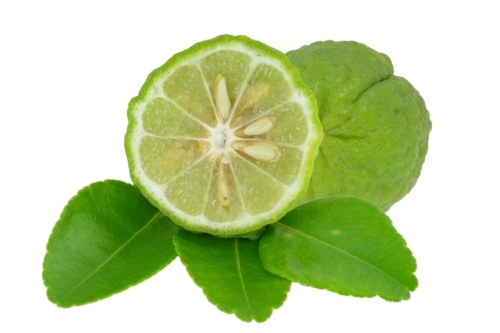 It aids in digestion: Bergamot oil helps stimulate the production of digestive juices. Research has shown that it might even be good when battling food poisoning because of its antibacterial properties. How Does Bergamot Oil Work? Mixed with lavender, salt, and water as a genital wash to prevent urinary tract infection recurrences. There are two ways to get the oil from the fruit needed to make bergamot oil. 1. Expression or cold-pressing. This is done by pressing the rind or the fruit peelings until the oil comes out, which takes a lot of effort and can be time-consuming. There are, however, machines that can do this, using centrifugal force. 2. Distillation. This process involves either water or steam. The resulting oil is of lower quality compared to the expressed variety, so when buying, read the label to be sure of what you’re getting. For the most part bergamot oil is safe, but pregnant and nursing mothers should take caution and talk to their doctor before using. Anyone deciding to incorporate bergamot into a treatment plan should run it by their doctor just to be on the safe side. If you have a potassium deficiency do not take bergamot internally, because it can deplete potassium stores in the body and cause muscle cramps and twitching. If this happens, you can use magnesium gel to soothe the cramps. https://en.wikipedia.org/wiki/Bergamot_essential_oil, last accessed April 19, 2016. “Bergamot Oil: A Gamut of Goodness,” Mercola web site; http://articles.mercola.com/herbal-oils/bergamot-oil.aspx, last accessed April 19, 2016. Fisher, K., et al, “The Mechanism of Action of a Citrus Oil Blend Against Enterococcus Faecium and Enterococcus Faecalis,” Journal of Applied Microbiology, 2009; doi:10.1111/j.1365-2672.2008.04102.x.